California is an aerospace industry leader in the U.S. The state is home to the B-21 long-range bomber defense project and headquarters or offices for leading A&D global leaders such as Boeing, Lockheed Martin, Northrop Grumman, Aerojet Rocketdyne, Raytheon SpaceX, and Virgin Galactic, as well as small and medium-sized manufacturers (SMMs) in the industry. While California A&D manufacturing employment is down from its aerospace glory years in the late 1980s, steady sales and rising employment rates make A&D leaders and analysts optimistic that the aerospace sector in California is heading for more growth with less reliance on government contracts. As larger aerospace companies feel the pressure to cut costs and deliver more customized products due to tougher and changing market conditions, this results in an increasing number of jobs or tasks being farmed out to smaller manufacturers. A&D supply chain digitization processes enables the utilization of old and new data for more detailed analyses of supplier and consumption practices and offers manufacturers more agility. A traditional supply chain model works in a straight line where decision makers have a limited view of the entire chain, resulting in potential delays and increased costs. A digitized supply chain allows a complete view of the chain for better transparency, collaboration, flexibility, and timely responsiveness. The concept of supply chain optimization is founded on the integration of data across the entire supply chain from planning to the supply’s final destination, in real time and often with less human intervention. For instance, inventory management apps, tracking sensors, lean manufacturing, robotics, and other automated tools can be integrated into the system for a more agile and resilient supply chain. The speedy exchange of information enhances the agility of the entire supply chain. Gaining better insight into supplier costs and supply chain costs helps A&D manufacturers attain reasonable costs for their orders. For example, a should-cost review is a strategic costing analysis that evaluates "the economy and efficiency of the contractor’s existing workforce, methods, materials, equipment, real property, operating systems, and management," according to U.S. Federal Acquisition Regulation (FAR) 15.407-4. It promotes short and long-term improvements that aim to reduce costs associated with performing government contracts. A competitive tear-down analysis, or a value analysis, is another costing tool that breaks a product into its constituent parts to determine a realistic cost or value of each component based on its performance. Aside from mechanical design, this tool considers workmanship, robustness, manufacturability, reliability, safety, and other relevant functionalities. Fruitful negotiation depends on how much understanding manufacturers have of the underlying economics of a given product or component. The first step is for manufacturers to determine a valid range of target price to provide them with a credible and data-driven basis to negotiate for reduced costs. Information about product and component prices, along with labor costs, is generally available in the open market and can be used to create this data. Understanding a supplier’s business model helps A&D companies determine how best to create leverage points with the supplier during negotiation. For example, some suppliers gain more margins by selling directly to the U.S. Department of Defense (DOD), whereas others gain higher profitably with original equipment manufacturer (OEM) sales, after-market sales on spare parts, or by providing maintenance services. Manufacturers can alter demand by exploring other suppliers or the viability of producing minor components internally, at least for big manufacturers. With constant product innovation to meet the changing needs of aerospace and defense customers, changing cost dynamics are taking a toll on manufacturers. 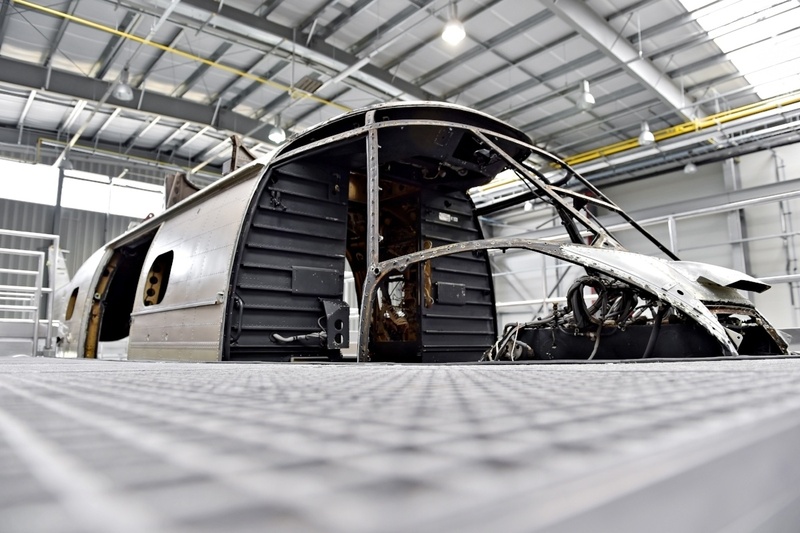 The expected growth of the A&D space is driving pressure on aerospace and defense companies to focus on protecting their operating margins through effective cost management. Many traditional cost reduction approaches are inadequate in today’s complex supply chain networks. Hidden costs can be unmeasurable and significant. As such, manufacturers of all sizes need to adapt to the changing A&D costing culture through supply chain optimization.